The TIKKA XP 2 headlamp integrates two light sources as well as a Wide Angle lens with a simple open-close feature, allowing the user to choose between a long distance focused beam and flood beam proximity lighting. 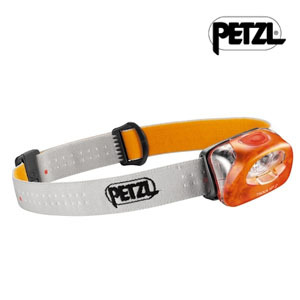 This headlamp is equipped with a white high-output LED and a red LED. The white LED delivers 80 lumens in maximum mode and lights up to 68 meters. In economic mode, it can reach a burn-time of 190 hours. The red LED provides lighting to preserve night vision or to become a strobe light for increased safety, for example in an urban environment, etc. TIKKA XP² can be used with lithium batteries to decrease weight or improve performance in cold weather.